It outlasted its 90-day initial mission by over 14 years, but a massive Martian dust storm could put an end to the solar-powered Opportunity rover’s travels. 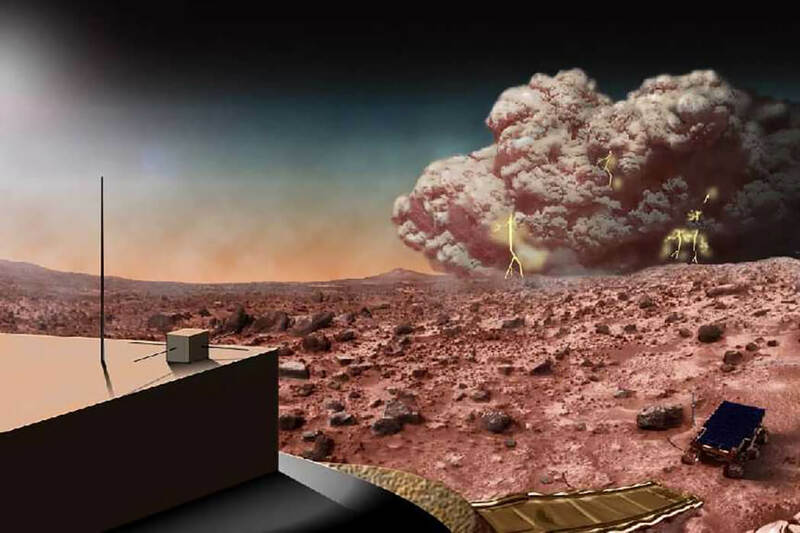 The storm has blanketed 14 million square miles of Mars, or about a quarter of the planet, which is currently inhabited only by active and inactive robots. Opportunity began its lonely sojourn Jan. 25, 2004, and helped Earth-bound scientists examine meteorites on the Meridiani Plains, and discovered traces of ancient acidic lakes. NASA says the solar-powered craft stopped responding on June 12, but all hope isn’t lost. The agency expects Opportunity shifted into a “low power fault mode,” which disables all systems except the mission clock, reducing power usage from scarce energy stored in its batteries. FILE PHOTO: NASA’s Mars Exploration Rover Opportunity is shown in this handout photo released to Reuters July 29, 2014. The clock will regularly wake an onboard computer to check power levels. If power ever returns to an operational level, the rover will slowly bring itself back into service—or at least start communicating. While the craft derives its energy from the sun, it’s critical for it to charge its batteries fully enough to run heaters that keep components from failing in the cold, ironically including the batteries. Mars’ average temperature—its average!—is -81°F. NASA’s Curiosity rover is elsewhere on the planet, on the edge of the current dust storm, but it also doesn’t need sunlight. It relies on radioisotope thermoelectric generator (RTGs): plutonium-powered devices that convert the heat of radioactive decay into electricity. This isn’t Opportunity’s first dust rodeo. In 2007, just a few years into its extended mission, a planetary dust storm blocked the sun for two weeks, during which time the craft stopped responding as well. However, the current storm is twice as opaque as the 2007 one, providing even less marginal sunlight. Opportunity landed with a twin craft, Spirit, which stopped communicating in 2010. Spirit is believed to have given up the ghost due to a failed wheel and being mired in soft sand, which led to a bad position relative to the sun for charging. Without enough power, Spirit likely froze too deeply to revive itself. The agency has plenty of eyes on Mars that may help it discover Opportunity’s fate if it doesn’t wake from slumber. Besides Curiosity and Opportunity on the surface, a whopping six orbiters circle the red planet, gathering data for NASA, the European Space Agency, Russia’s Roscosmos, and the Indian Space Research Organization. More help is on the way, too. NASA recently launched towards Mars the Insight lander—and two tiny CubeSats, satellites that are 14.4 by 9.5 by 4.6 inches when packed tight. Unfurled, they contain full propulsion systems. The CubeSats, named Mars Cube One and Two, won’t collect science data or land, but they’re tests for future small-scale deployments. NASA says it will be several days after the storm abates before Opportunity’s fate becomes clear.